The United Church of Christ, a protestant Christian denomination known for their progressive stances on social justice issues, resolved in July to divest from fossil fuels. The Reverend Jim Antal, UCC minister and President of the Massachusetts Conference of the United Church of Christ, led the effort to divest. �As soon as I read Bill McKibben�s�Rolling Stone�article on the�terrifying math of global warming�it was clear to me that the church needed to provide leadership� he said. For more of Jim Antal�s thoughts, click here. There are numerous investment resources for individuals and congregations who would like to use their money to push for clean energy future. The Global Ecologic Fund is a new mutual fund, and part of the faith-based Epiphany Funds family. 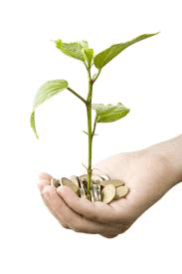 The managers of the Global Ecologic Fund invest in firms that are building more ecologic infrastructure. �Companies in the mutual fund provide fair trade food and products, pollution control, rail and bike infrastructure, efficient clean water systems, energy efficiency, renewable energy, and energy storage, and other ecological solutions. �SEC registered. Clean Energy Victory Bonds would extend proven government programs that create clean energy and jobs, including the Investment Tax Credit and Production Tax Credit, for a decade. The funds raised from the bonds would also help homeowners make energy efficiency upgrades to their homes and purchase plug-in and electric cars. The bonds will help ensure American competitiveness in the growing clean energy and transportation industries and will help create over 1.7 million jobs throughout the United States. Proxy Preview is a report that helps shareholders vote their values. Investing with climate change in mind. Ceres mobilizes a powerful network of investors, companies and public interest groups to accelerate and expand the adoption of sustainable business practices and solutions to build a healthy global economy. Empowering the public to invest in and benefit from clean energy, Mosaic is an online marketplace that enables people to invest in solar projects for as little as $25 and earn competitive returns. Mosaic�s mission is to open up clean energy investing to the public and fundamentally change the way energy is financed. The Mosaic team believes that the best way to grow the clean energy economy is by allowing more people to participate in it and benefit from it. The Interfaith Center on Corporate Responsibility is the pioneer coalition of active share owners who view the management of their investments as a catalyst to promote justice and sustainability in the world.